It seemed like such a natural progression, going from No Churn Strawberry Ice Cream . 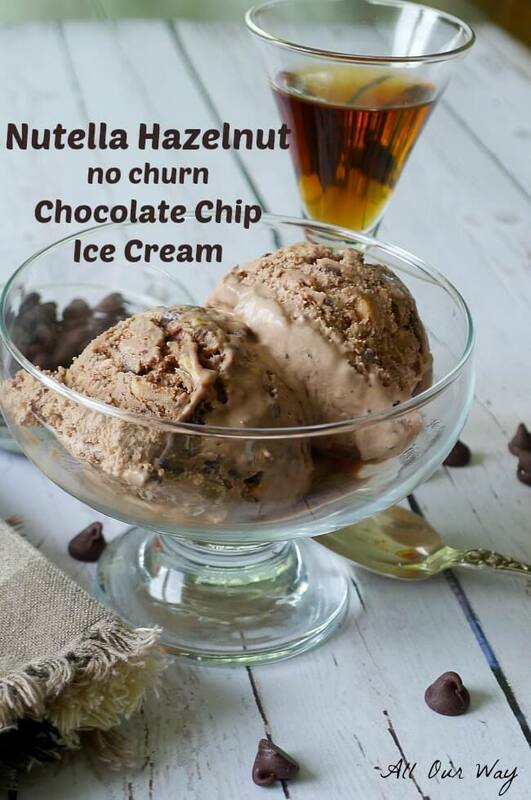 . .
. . .to the chocolate nutty version of No Churn Nutella Hazelnut Chocolate Chip Ice Cream. The title is quite a mouthful isn’t it? But what else would you call an ice cream that is so much more than just Nutella and heavy whipping cream? 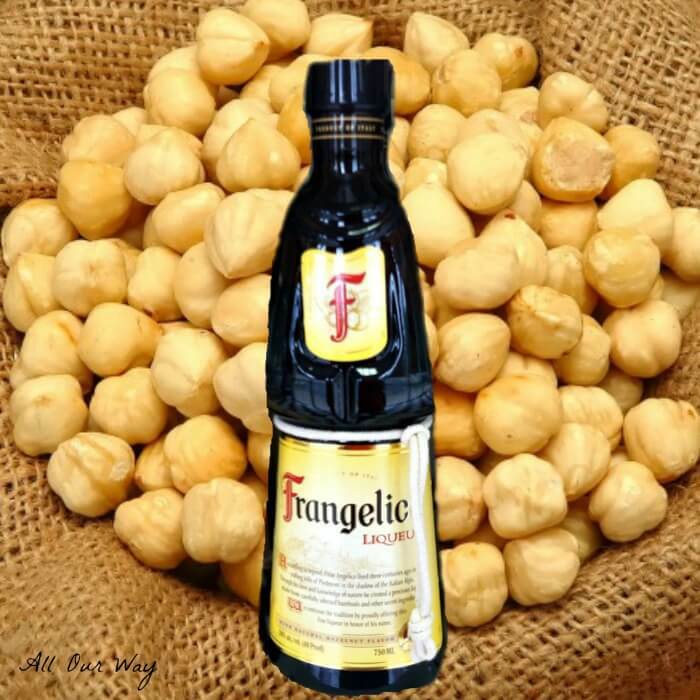 Of course, the star is Nutella but then its chocolate goodness is enhanced with the roasted crunch of hazelnuts and embellished with bits of semi-sweet chocolate chips and finally laced with just a light touch of Frangelico liqueur. 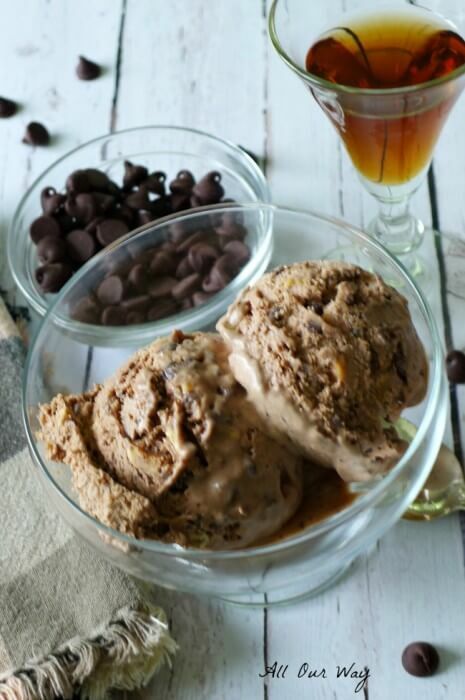 Now you don’t need the liqueur but we thought that a little bit of alcohol would keep the no-churn Nutella hazelnut chocolate chip ice cream nice and creamy and prevent it from freezing too hard. The first time we sampled it, we couldn’t believe it. We made the ice cream yesterday and we had to try to patiently wait for the ice cream to freeze for at least six hours. This morning, before coffee, before breakfast, my Honey took out the container from the freezer, grabbed a small spoon and scooped out a little spoonful. He tasted; I tasted. OMG !! It was so good. Our eyes looked up to the heavens in total bliss. The texture was perfect — creamy without being too hard or too soft. 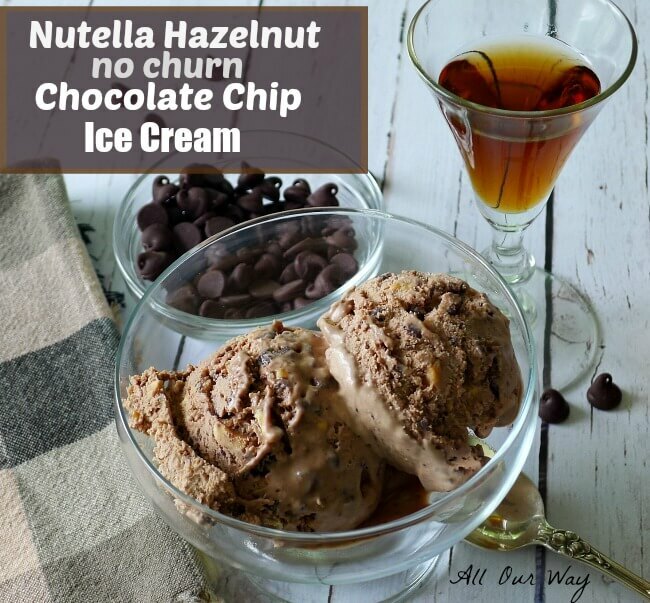 No Churn Nutella Hazelnut Chocolate Chip Ice Cream was even more than what we thought it would be. We are trying to forget it’s in the freezer — it isn’t easy. There’s only one solution. Take it to our kids and grandkids before we are tempted to empty the entire container. 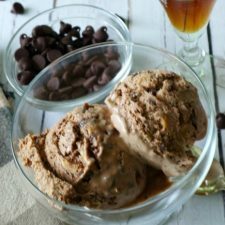 A delicious creamy ice cream made with heavy whipping cream, sweetened condensed milk and flavored with Nutella, roasted hazelnuts, chocolate chips and lightly laced with Frangelico, a hazelnut herb infused liqueur. 2 1/2 cups heavy whipping cream -- 1/2 cup will be added to the Nutella and sweetened condensed milk. Preheat oven to 275 F. Place shelled hazelnuts on a non-greased cookie sheet and put in the oven for about 20 to 30 minutes until the skins crack and the nut meats turn a light golden color. Pour the nuts onto a clean terry cloth towel and wrap it closed. Let the nuts steam for 4 to 5 minutes, then rub vigorously until the skins are removed. If there are some nuts still holding on to their skin, microwave the nuts on full power a minute at a time until the skins come off. Let cool then roughly chop them. Warm the Nutella on top of a double boiler over a heat. Once the Nutella is soft, use an electric mixer to combine it with the condensed sweetened milk. Let it cool. Once it is cool slowly beat in 1/2 cup of the heavy whipping cream until it is completely combined. Add in the chopped hazelnuts and chocolate chips. Add the 2 Tablespoons of Frangelico, and set aside. In a very cold mixing bowl add the 2 cups heavy whipping cream and whip until stiff peaks form. Do not overbeat or you might get butter. Gently fold the Nutella mixture into the whipped cream until completely combined. Put the bowl into the freezer for 30 minutes. Take out of freezer then beat the mixture on medium-high for 1-2 minutes. Put in freezer safe containers. Freeze for at least 6 hours before enjoying!! Be sure to chill the bowl and beaters before whipping the cream. 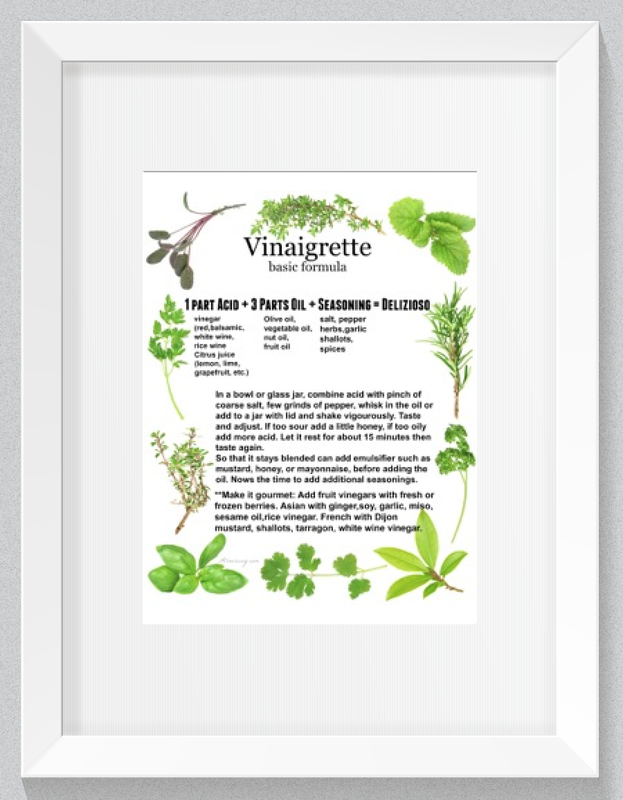 Note: Recipes and content from © All Our Way is copyright protected. Please do not use content or recipe without prior written permission. If you want to share the information please link to this post. This looks awesome- I am firmly in the camp that hazelnuts and chocolate are the ultimate flavor combo- it just doesn’t get any better than that! I can see you and your husband taste-testing in the early morning hours . . . and your eyes turning to the heavens in bliss. Good.ness! I can’t wait to try it! We LOVE Nutella . . . and my husband and kids ask for it on everything – all the time. First things first though, I’ll try Vanilla Bean first . . . and then venture into your flavors! If you sample chocolate first, then please send that recipe my way!! I hope you had some left to take to your kids and grand-kids :0)! It looks like perfection! And no churn? And Nutella! Yummmmm! Marisa: This looks amazing! I’ve never tried to make my own ice cream because it seemed rather intimidating and I don’t have an ice cream churner, but this looks easy enough for a novice like me. Thank you for sharing your recipes! For years we said no ice cream machine — where there’s a will there’s a way. Now we don’t need an ice cream maker. We don’t know if that’s a good or bad idea. Oh now you’ve gone and doneit. I have half a jar of Nutella in the fridge and I know just what I’ll do with it. This looks like another addictive treat that I’ll need to share so I’m not tempted to eat it all. Oh Yum. A second delicious ice cream recipe. This recipe sounds wonderful and I can visualize the expressions on your faces, when you tasted this creation. Enjoy.